Ready to begin. All items on hand and in position…get ready to save the world!! So what do I do? Sorting household waste into the correct bins is what it is all about. Learning what goes into which bin is the challenge. At my house we have three bins: General waste, Recycling & the compost bin. I keep our compost caddy right next to the chopping board for convenience. Get the family on board to throw items away in the correct bins. Chop up waste into small chunks, crumple up cartons, shred paper and crush egg shells. The smaller the pieces are the quicker they will decompose. And likewise the harder the items are such as an avocado pip and pumpkin skin then the longer it will take to breakdown. Empty the kitchen caddy every second day into the outside compost tumbler. Give the tumbler a spin each time waste is added. 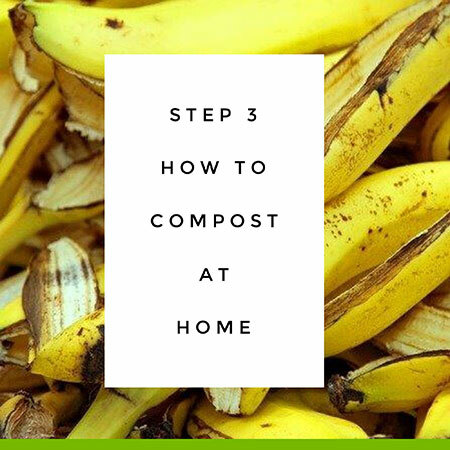 Click here for a free printable of these basic recipe that you can compost to keep on hand. If you are looking for a more detailed list please click here of what is considered brown or green waste and whether it can go in your compost bin. The browns will absorb the excess moisture out of the greens, so add more brown as you go if it is too wet looking. Water as needed if too dry. Once one side of the chamber is full, you turn the lid over on the tumbler so that it is easily identifiable as either the adding side or the maturing side. You then start filling the other side and leave the original side to mature. This can take between 8-10 weeks (roughly the time it takes to fill the new side). And the process continues. I love Gretchen Rubin, who writes, researches and talks about habits and how our lives can change if we change our habits. It is always challenging to instigate a new process/flow into our lives and one of the tips from her book called “better than before” that I think can really help you to incorporate composting into your life is the strategy of convenience and inconvenience. The premise here is that we are more likely to keep to a new behaviour if it is convenient. Conversely, we are more likely to stop an old bad habit if we make it inconvenient. For example you can keep the compost caddy right next to your chopping board, or at a height that the children can see and reach and you can place the regular waste bin further away and inside a cupboard. This makes it convenient to place the organic waste into the correct bin and inconvenient to throw it in the general waste bin as it will take more effort and time to do so. Well I must say that it has been a fairly smooth transition here in my household and the kids are on board. On occasion I have needed to remind them but thankfully their school is into composting so they are not “new” to the concept. Step 4 will explore the finished product so watch this space! How do you form new habits in your home? Is everyone on board to want to compost at your place? What is the resistance, if any?